Author: Martin Malden Published: March 20, 2012. Last updated: April 10, 2019. 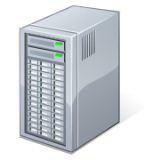 One of the tools of the trade you need when you get a website for your business is a server on which to store it. Luckily this is neither expensive nor complicated because there are legions of web hosting service providers queuing up to grab your business. Do beware, though: you’ll see offers of free hosting and extremely cheap hosting, both of which you should review with extreme care. Hacking is an ever-present (and growing) problem online, and the web server is one of the many ways the bad guys can get in to your site. So you need to select a hosting provider that’s serious about security. Another consideration is your site performance, meaning the speed at which your website pages load. Some while back Google added page-load times into its algorithm for calculating which pages to return in response to online searches and, as a result, faster loading pages do better in the search results than slower loading ones. Your web hosting provider has a major influence here too. Initially you’ll only need shared hosting, but the problem with free or very cheap hosting is that, in order to make any money, these hosting providers overload their shared hosting servers with too many websites. This will slow down your page-load times and penalise your site in the search results, which will reduce the amount of visitors you get. So going for free or extremely cheap hosting is a false economy. You should expect to pay around US$10 – US$15 a month for well managed shared hosting services. Certainly not expensive, but anything less than that and you may start running into problems. At Abledragon we’ve seen a fair number of hosting providers. We used 3 prior to our current provider and we see a lot more as a result of working with our clients’ websites. Abledragon offers hosting services but only to clients who use our WordPress maintenance services. To provide this service we rent server space from Siteground – the best provider of hosting for WordPress websites that we have seen. Should you not want to take up our maintenance service, though, but still need top class hosting for your WordPress website then you can sign up with Siteground direct – click here for more details.